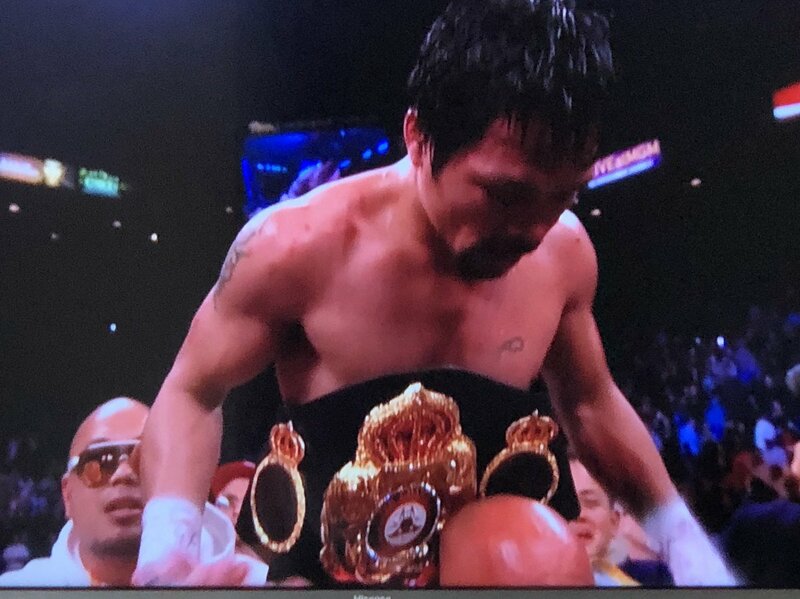 Sporty Issues's tweet - "MANNY PACQUIAO BEAT BRONER All judges gave Manny Pacquiao the fight as he beat Adrien Broner by 117-111, 116-112 and 116-112. Manny Pacquiao also indicating that he can fight Mayweather if he happens to come out of retirement. " All judges gave Manny Pacquiao the fight as he beat Adrien Broner by 117-111, 116-112 and 116-112. Manny Pacquiao also indicating that he can fight Mayweather if he happens to come out of retirement.